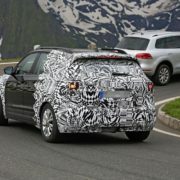 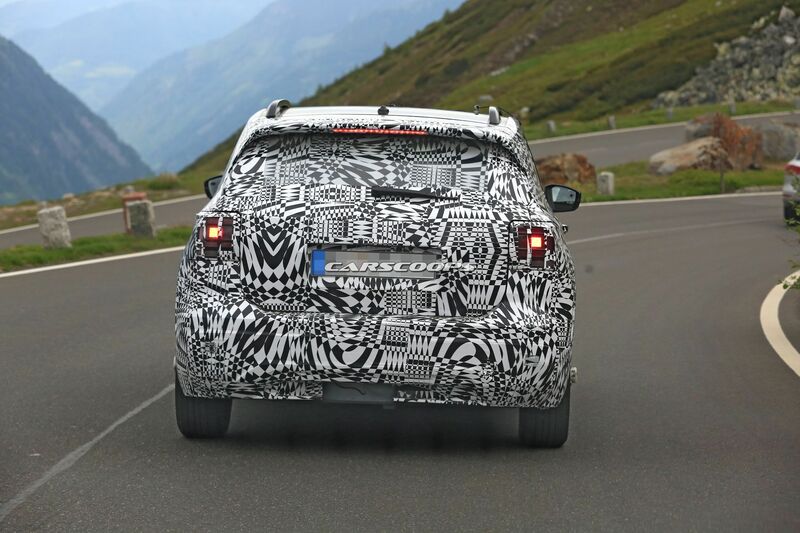 The official rival of the brand-new Nissan Juke and Peugeot 2008 is undergoing final tests in Europe, before ending up at VW`s stand at the 2018 Paris Motor Show, this September. 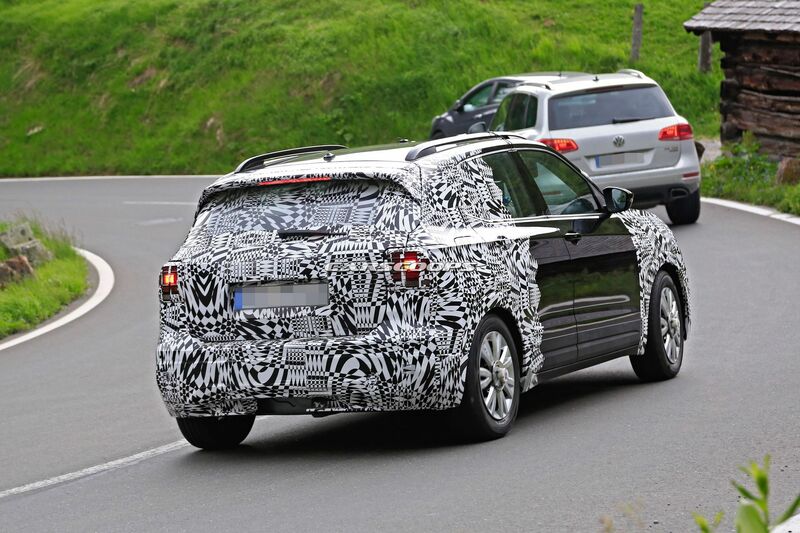 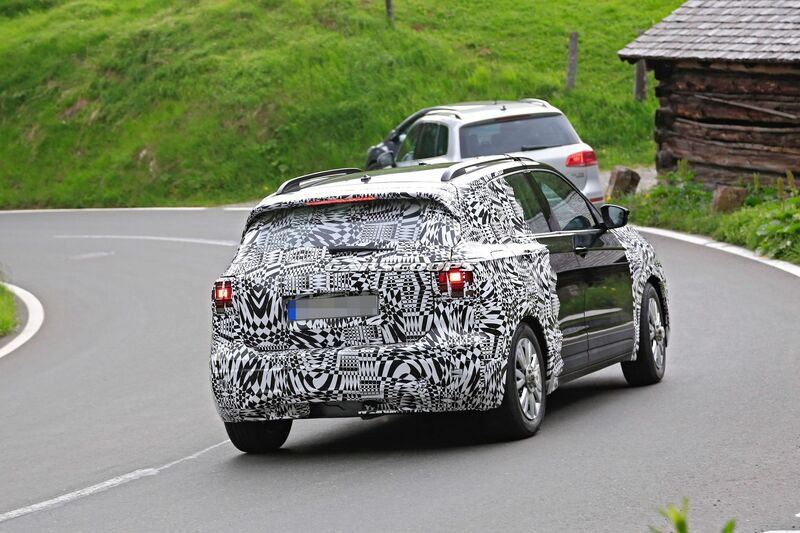 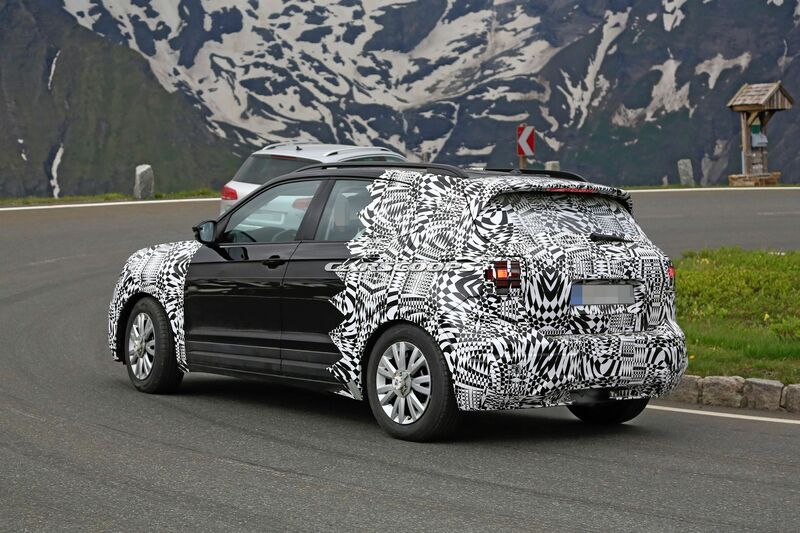 Following a series of spy shots, the test mule has been photo shot again, this time almost stripped off its camouflage, which clearly indicates that is performing the final tests before ending up in production. 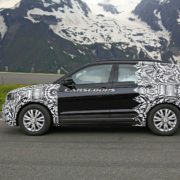 Speaking of which, once it will go official, the new T-Cross will be built in Brazil, at the company`s plant situated in Sao Jose don Pinhais. 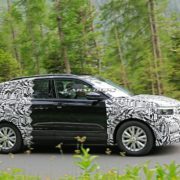 Sitting just under the much larger T-Roc, the future T-Cross seems to borrow plenty of characteristics from the former, at least this is what the spy shots reveal. 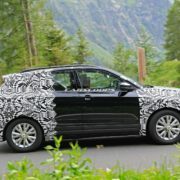 However, it also features some similarities to the concept around its body style. 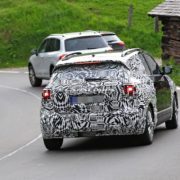 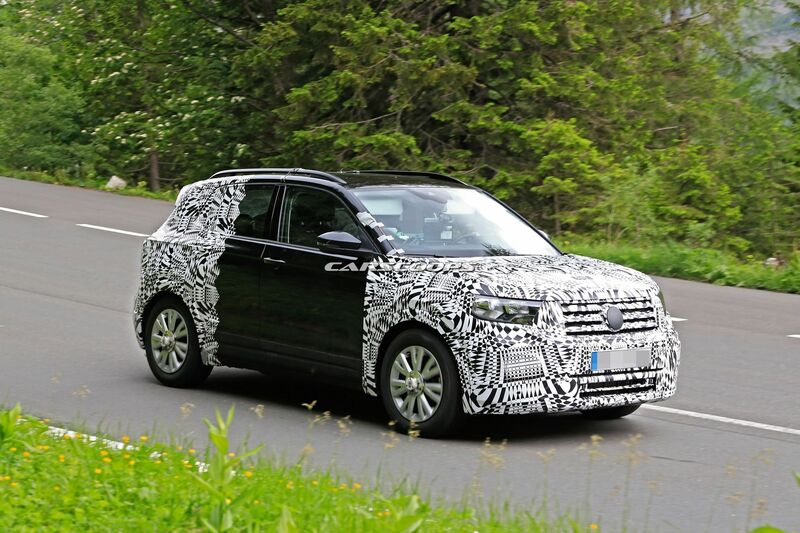 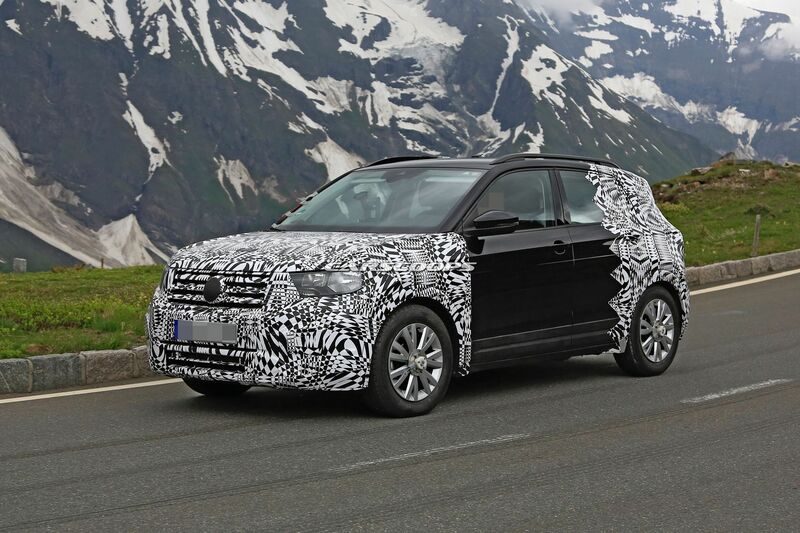 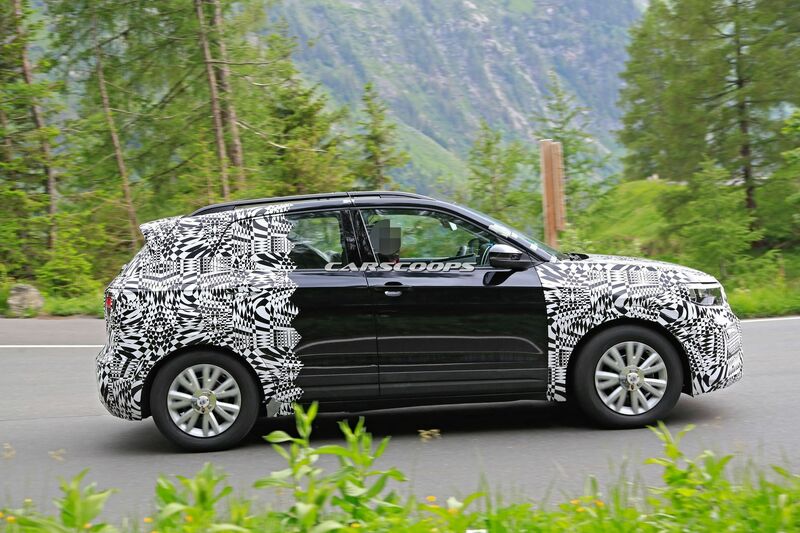 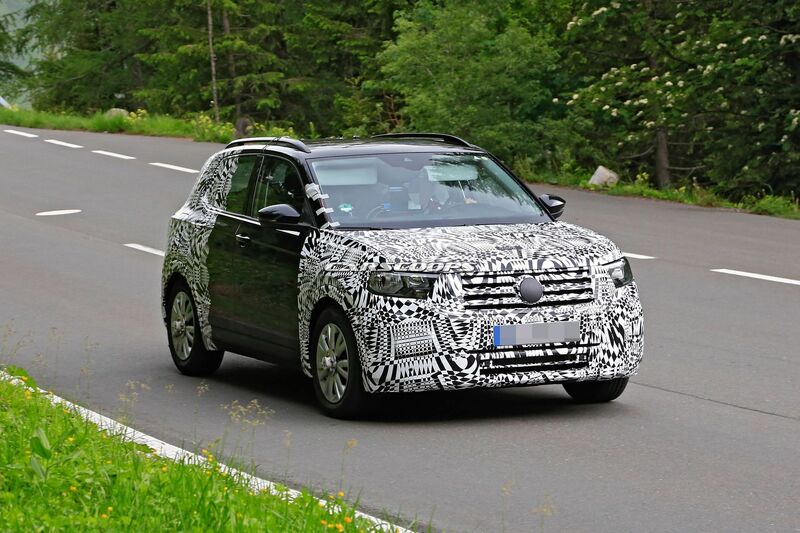 At the front, the test mule shows a grille with three horizontal slats and which houses rather the same headlights as the Tiguan sibling. 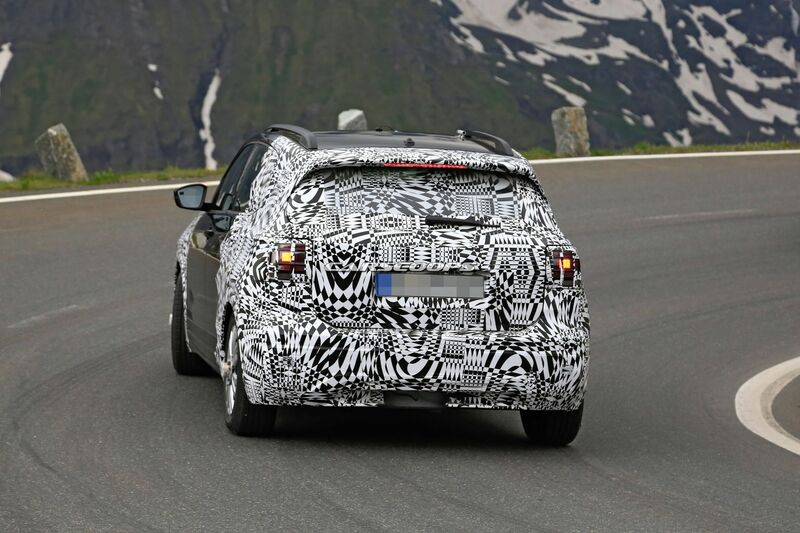 More than that, the short front and rear overhangs are extremely prominent, while the rear fascia seems to be borrowed from the concept. 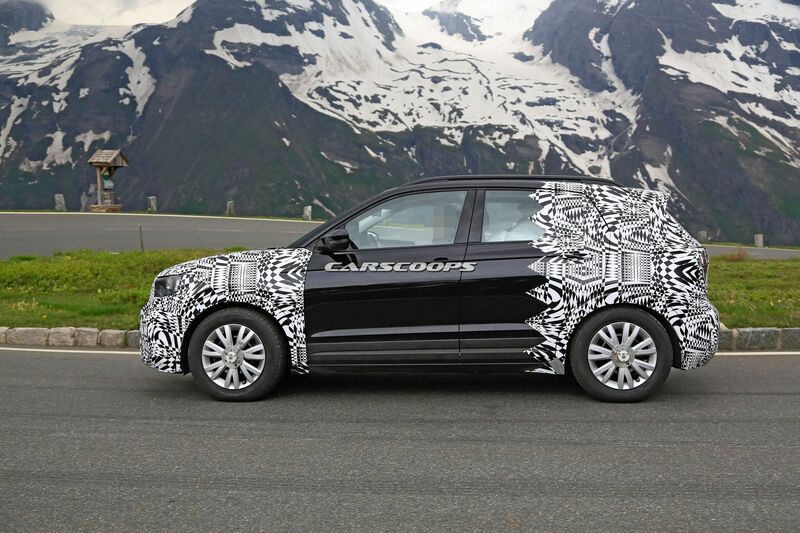 As for powertrains under the hood, we do not have the green light for any official details. 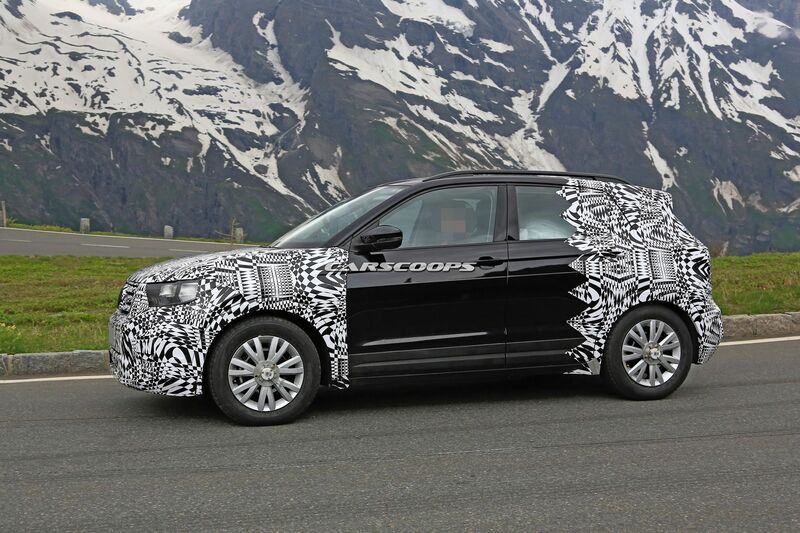 However, according to close sources, we should find some borrowings from the same T-Roc. 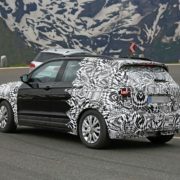 This means a 2.0-liter TSI with 187 horsepower, a 1.5-liter TSI with 147 horsepower, and three diesel burners – 1.6-liter TDI with 113 horsepower, 2.0-liter TDI with 147 horsepower and 187 horsepower, respectively. 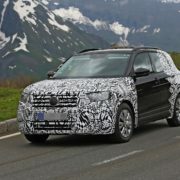 Sitting on the Group`s newest MQB platform, the new T-Roc will also be fitted with a six-speed manual transmission and a dual-clutch gear, also gearing up other new models within the company`s lineup. 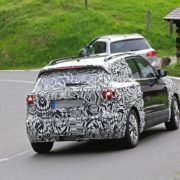 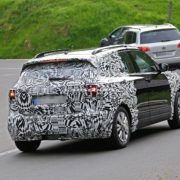 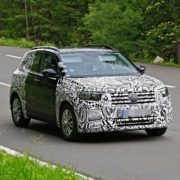 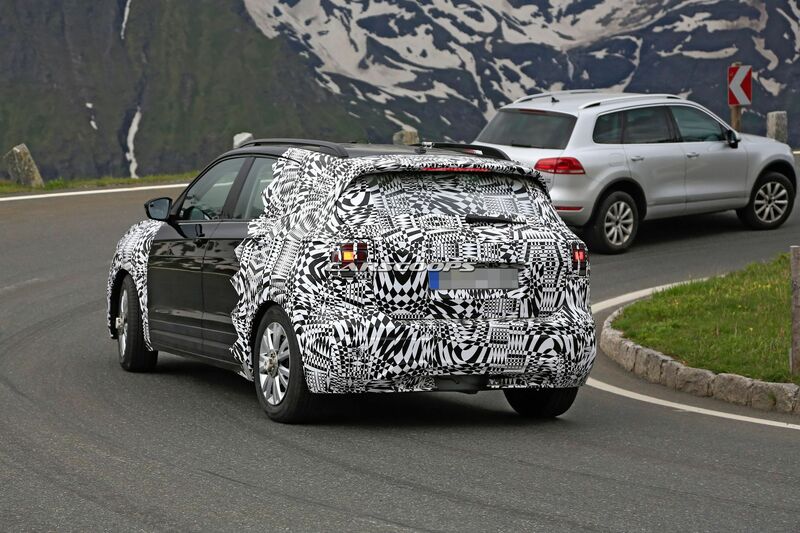 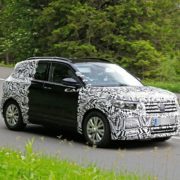 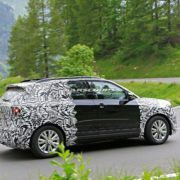 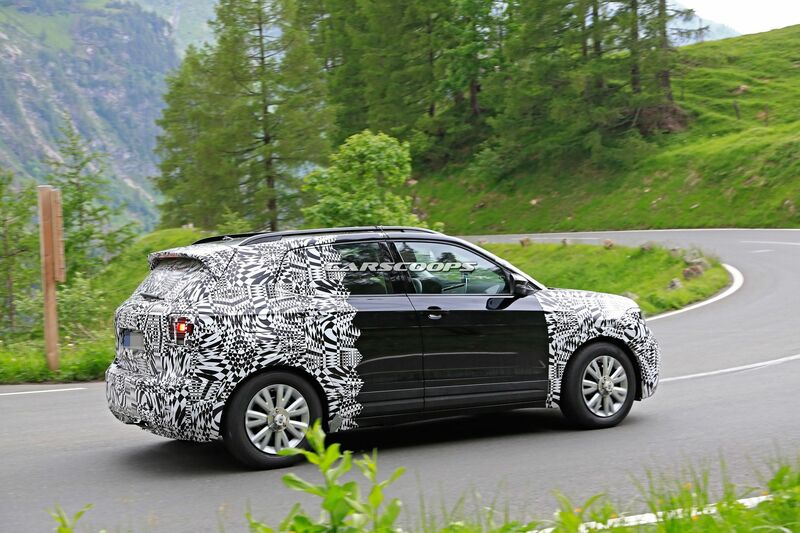 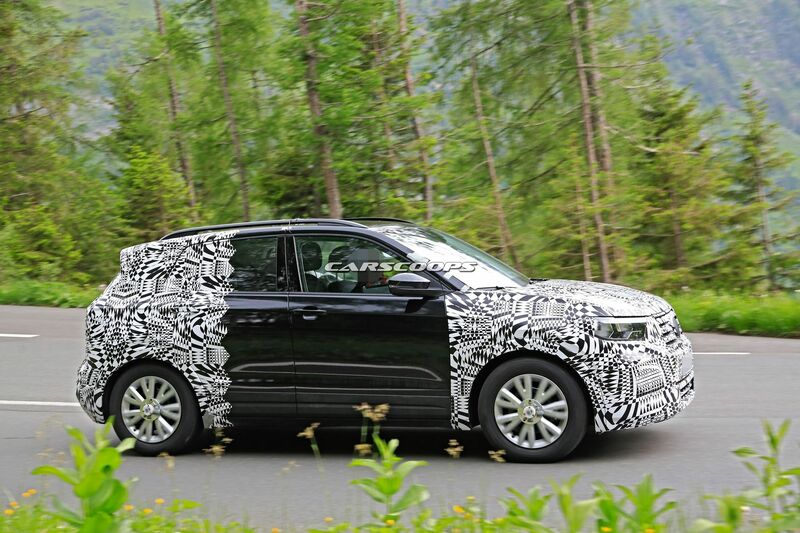 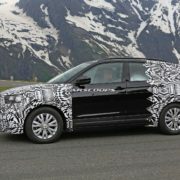 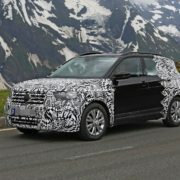 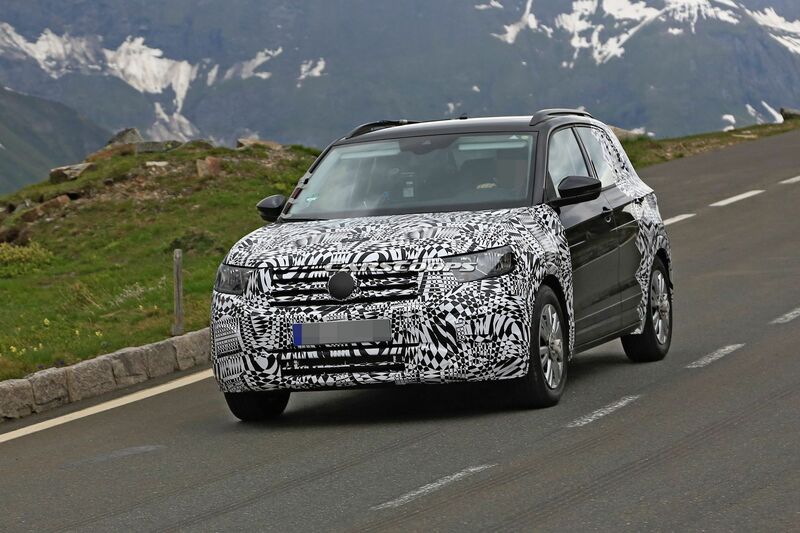 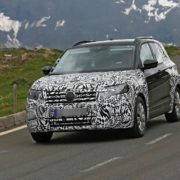 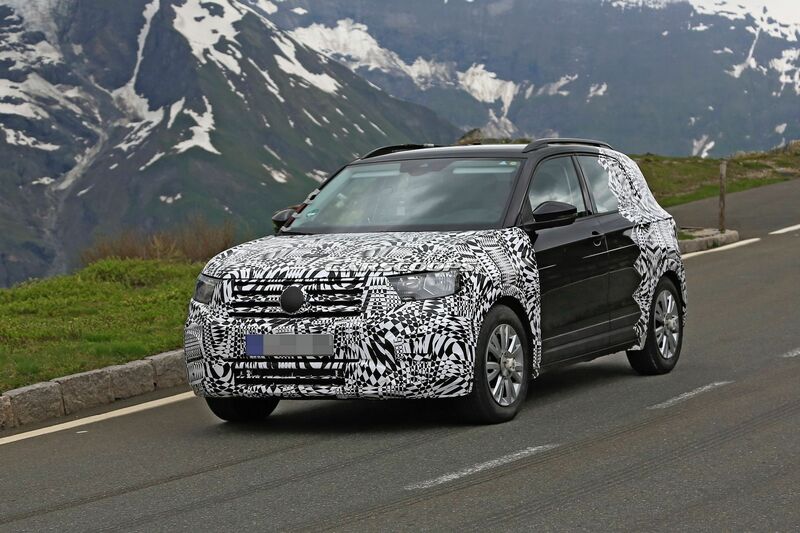 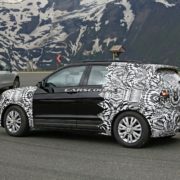 We should expect a media gallery and full details of the upcoming VW T-Roc prior to the SUV`s debut at the 2018 Paris Motor Show. 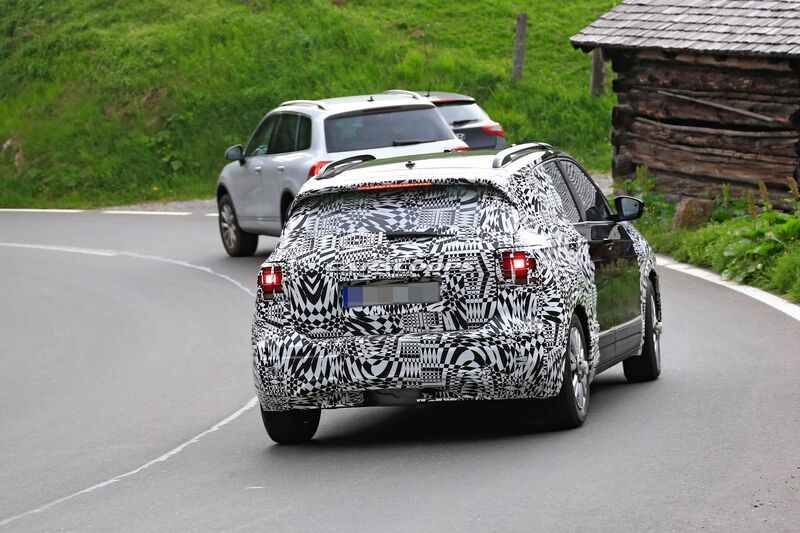 Meanwhile, enjoy the spy photos with the model while performing at its highest in the European mountains. 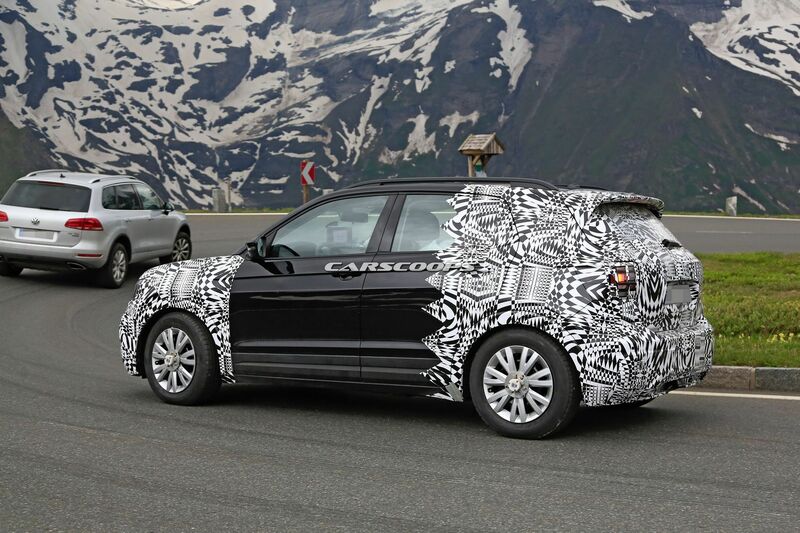 Thanks carscoops magazine for sharing!